You’ll notice the photos here are not as lovely as the typical ECI pictures. Clearly Amanda did not take them. You guys. Life is crazy. Like I don’t even know how I make it through the day on only 4 hours of sleep, but don’t have another choice because I’m working the other 20 hours a day. CRAZY. Apparently I’m insane because I chose this moment to have a pre-midlife crisis and go back to school in addition to being a mother to my children, maintaining my job, our blog, and our magazine contributions. Life was busy before. It’s CRAZY now. Yet in the midst of the chaos and schedules that cannot seem to align, I’ve tried out a timesaving MIRACLE. Right now I feel like I barely have time to brush my teeth, let alone do my hair and makeup each day. Full disclosure, I do always brush my teeth, but I do not always shower. Sorry. Not sorry. Enter eyelash extensions. I recently ran into my friend, Tim, and he told me that he’s transitioning his career from hair to lashes. 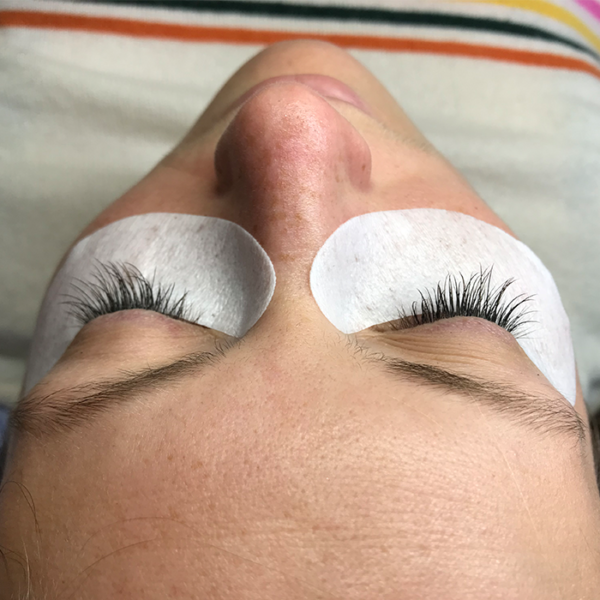 I had heard of eyelash extensions before, and I think I’ve seen some people out and about with them, but I hadn’t really given it serious thought. First of all, it’s expensive (ranging from $185-$220 for a new set, and then $60-$80 for a fill), and secondly, I invested an exceptional amount of time in finding the perfect mascara. I wasn’t about to throw all of that effort out the window! Then Tim said he needed people to practice on in order to become certified, and I was sold. I didn’t want anything crazy. I was not looking for drama, or anything that was obviously false (though he is absolutely capable of achieving that high glam look). I simply wanted a natural looking extension and extra fullness to my lashes. The process is rather simple. I layed down under a cozy blanket on a bed similar to one you may have a massage on. Then Tim placed adhesive pads over my lower lashes to keep them out of the way. He then worked his magic, fusing longer synthetic lashes along the root of my natural ones. Tim is an artist by training, and he really draws from that experience, applying his artistic training and skilled eye. He mixed brown and black lashes to create a subtle and natural pallet, while also strategically placing lashes of varying lengths across my lids. The end result was a set of longer and fuller lashes that looked like they could be my own. Also, I look like I’m wearing makeup all the time, even when I’m not. Definitely the boost my tired eyes need while I throw myself headlong into this new schedule! They do feel a little different, and took a couple of hours to become accustomed to, as they are more stiff than a natural lash. However, by the end of the afternoon I completely forgot they were there. If you’ve been toying with the idea of trying them, hands down I say it’s worth it! If you don’t live locally, I recommend finding a trained and certified lash technician to be sure you get your money’s worth. What better time of year to try than during the crazy rush of holiday dinners and parties? You’ll be ready for that friend/family/co-worker party selfie at the drop of a hat! Of course, all good things fade with time. This is not a one off application. Lashes grow out, adhesive wears. They fall out over time and, much like with hair coloring, you need a touch up once in a while. Tim says you can come back for a fill anywhere from every 3 to 6 weeks, depending on your body, schedule, and level of OCD. I’ve had mine for 4 weeks and I am feeling like I’m due for my first fill. 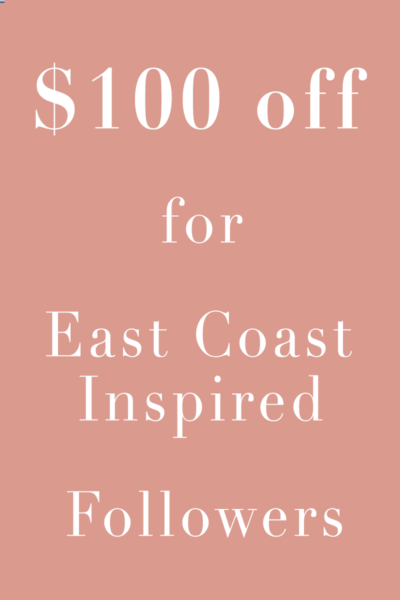 If you’re interested in giving them a try and can make your way to Brunswick, Tim is offering $100 off your first full set and $10 off your first fill if you refer a friend and they come in! 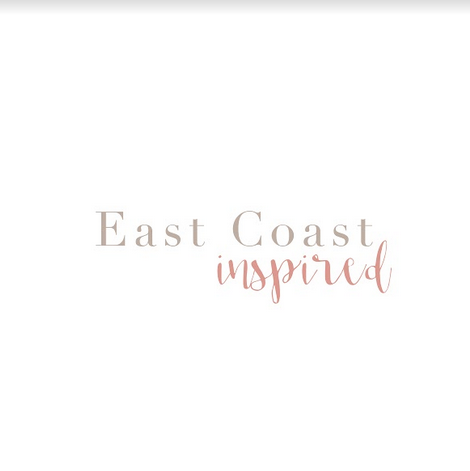 Simply mention East Coast Inspired when you make your appointment. Tim is at the Lash Studio (located in Fort Andross in Brunswick) and you can schedule your appointment by calling (207) 449-6414. Enjoy! This page is sponsored by Tim Stilson.